Today was the highly anticipated release of the new Apple iPhone 8 here in Dubai! 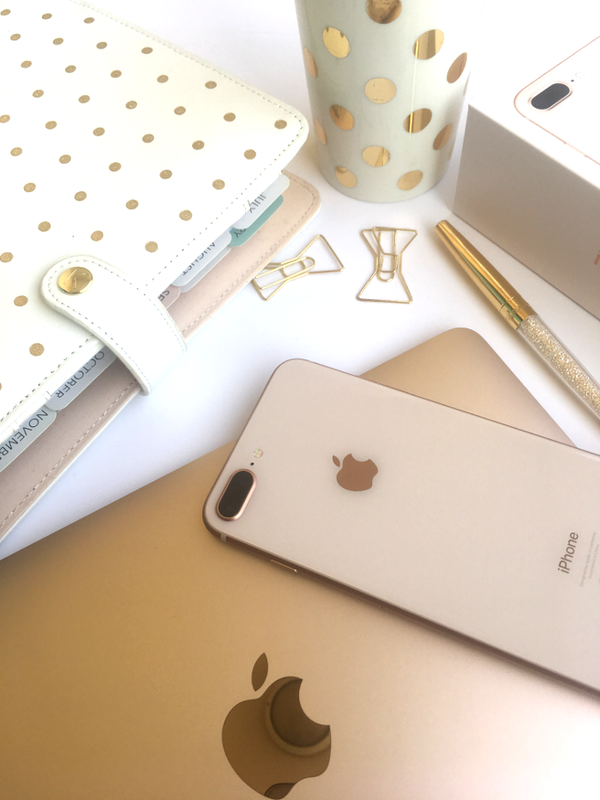 I was initially considering purchasing a DSLR to ensure my blog photographs and Instagram shots were on point, however, after hearing so many great things about the new iPhone 8 camera, I instead focused my attention on a new iPhone opposed to another piece of kit. When I heard about the new iPhone 8 plus camera reviews and extra features, such as the dual camera and portrait mode ... I couldn’t resist! The main reason for my need for this new iPhone. The updated model iPhone 8 plus includes a dual-camera system with two 12-megapixel cameras (one wide-angle lens with optical image stabilisation and one telephoto lens) and new feature Plus Portrait Lighting mode. The Portrait Lighting mode is a great feature which adds a depth-of-field behind the subject. The effect mimics an expensive DSLR and enables beautiful soft, blurred backgrounds perfect for the best blog posts. The new effect options such as natural light, studio light, contour light, stage light. The studio light option darkens the background of the subject to give the illusion of a studio backdrop. The picture quality of the 12mp is impressive and all my test photos came out extremely clear, with the camera picking up so much detail and depth with my first play about today. I will be doing a more detailed review of the iPhone 8 Plus’ camera shortly, so please stay tuned for an in-depth overview. 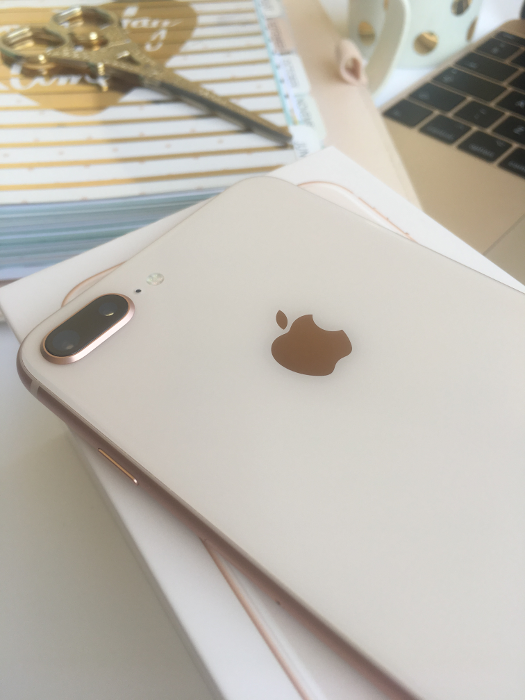 iPhone 8 Plus Gold’ version has a slightly rose gold tone to the band, which is beautifully offset by a delicate blush-coloured glass, this aesthetic adds to the slick, beautiful appeal of the Gold version. The screen size is near identical to the iPhone 6S and 7 plus. However, the display of the iPhone 8 comes includes the True Tone display. Flitting all day between my iPhone 6S plus while setting up my iPhone 8 Plus, the display differences is pretty apparent with the iPhone 8 display being so much more natural and more comfortable on the eye which adapts to the colour and light around you. 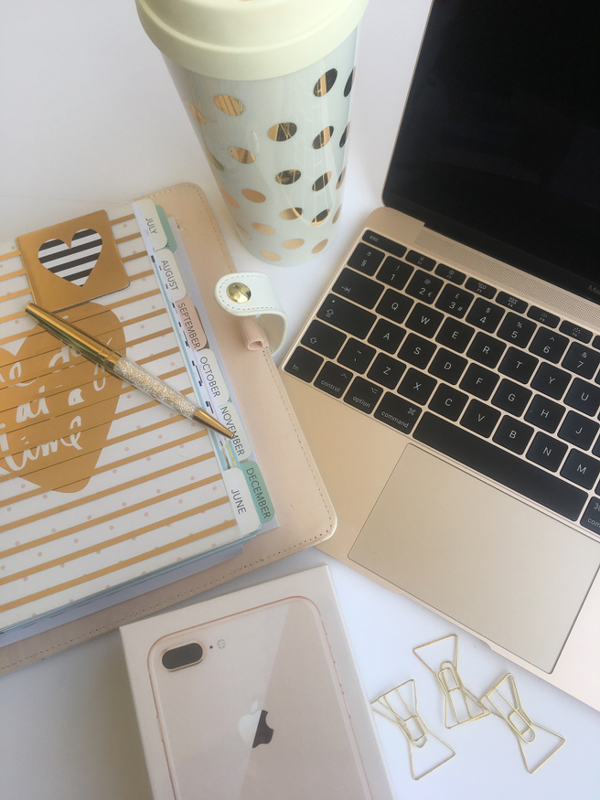 I use my iPhone a lot for the usual tasks such as emails, tweeting and pinning, taking photo’s and of course in my case blog posting and playing my daily dose of Disney emoji ... I need a phone up to the task! Since opening the beauty this morning, I have hardly put it down and still were at 90% with no charge. 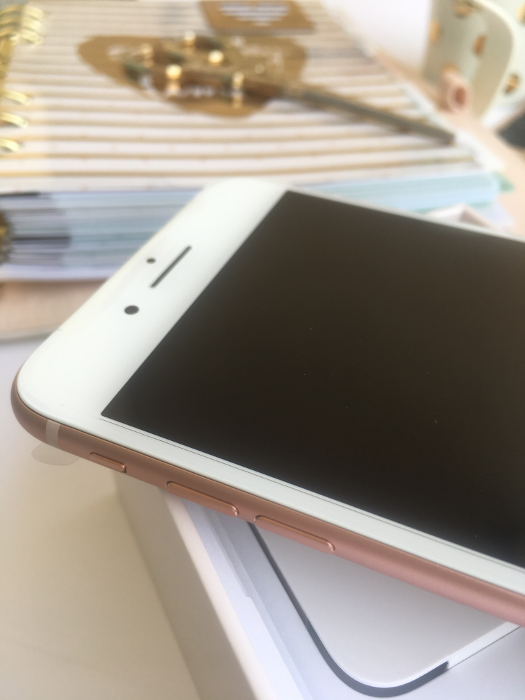 I have always swayed more for the plus-sized iPhones which suit my needs for writing blog posts and taking photographs, and I love the big bright screen which makes everything just that extra bit crisper. The iPhone is fully waterproof amazing if I ever want to use it underwater and Dust Resistant, so I do not have to worry about the Dubai dust messing with my phone. Another new feature all thanks to the stunning glass back panel, is the introduction of the inductive charging. I love the idea of doing away with another charger and trying to find a spare plug however disappointingly a wireless charging mat was not included with the kit and therefore I cannot yet to confirm if the feature is actually a useful feature or a novelty. Overall I am thrilled with my new iPhone and cannot wait to take some fantastic shots for my new blog. Will you be upgrading to an iPhone 8 series or iPhone x anytime soon?